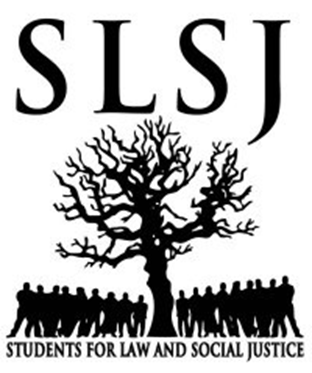 Students for Law and Social Justice (SLSJ) is a South African students organisation dedicated to protecting human rights, preventing discrimination and promoting social justice and the rule of law. It is a society formed in partnership between students of the various universities of South Africa and it is within SLSJ that we aim to transform legal education and access to justice. Through our work we recognise the need for law students to engage in public interest work before and after graduation. In order to equip young lawyers with the necessary skills and understanding to advance social justice they need to be given opportunities to practice the lessons learned in discussions and debates. To achieve this both students and the profession must work together. To expose law students to the work of a public interest organisation and give them practical experience in this area. To engage in community education with clients. particular outcome relevant to social justice. To strengthen and build public interest and social justice practice in South Africa. To groom a new cadre of human rights lawyers who use the Constitution to achieve social justice. The internship will take place during the semester vacation. NOTE: Due to the incongruent dates of this years June/July University vacation, the internship dates will be subject to the successful candidate’s dates of availability i.e. : as of when he/she finishes writing their June exams. Participants will spend no less than 4 weeks working at the SECTION27 office in Johannesburg. Participants will be supervised by a practicing attorney. Participants will be required to engage in research, writing, advocacy and any other relevant tasks given by the supervising attorney. In order for the programme to be meaningful reasonable supervision, guidance and access to necessary resources like computers will be provided. be informed about the work that SECTION27 does and how they can contribute to its work. Please note only 1st, 2nd and 3rd year law students may apply. The deadline for applications is 22 April 2016. Please put your name and surname and “SLSJ internship” in the subject line. The SLSJ National Committee in consultation with SECTION27 will make the final decision. Only successful candidates will be contacted no later than first week of May 2016. Students from previously disadvantaged backgrounds are encouraged to apply. For further information please contact the SLSJ National General Secretary Vuyo Mntonintshi at nec.slsj@gmail.com or 084 648 8223 or the SECTION27-SLSJ Fellows Ntombi-Zodwa Maphosa and Tina Power at maphosa@section27.org.za and power@section27.org.za.